Home and Property in Pristine-Like New Condition...See Seller's Pride in Ownership...This 4 bedroom/3 bath Reverse Floor Plan home offers spacious living for you or your renters with close walking distance to the beach. Dry entry under the home allows covered entrance into the home. Mid-level has 3 nice sized bedrooms, one being a master. 2 of the bedrooms have sliders that open up to a covered deck. As you walk up the open staircase to the top level you will be pleasantly impressed with its open spacious living/dining/kitchen area. As you look to the East you will have some views of the ocean. This floor also has a master bedroom for your convenience of one floor living. 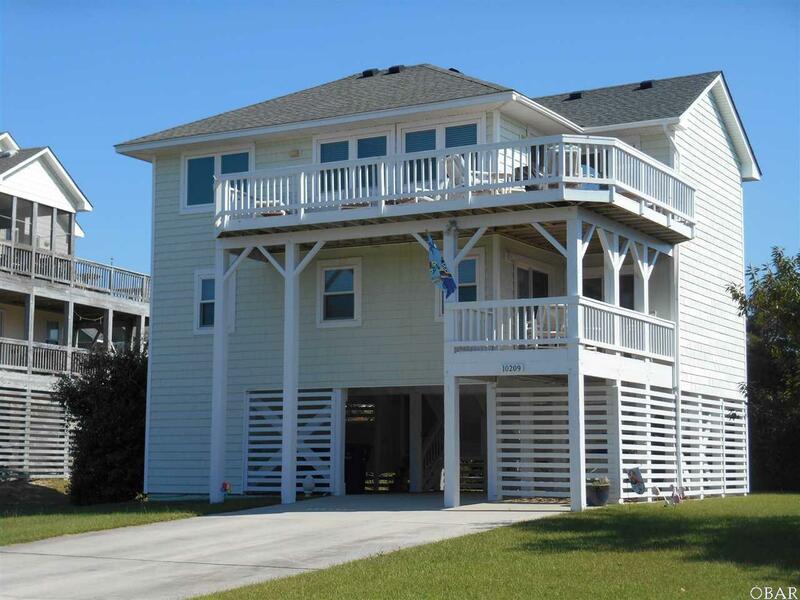 Walk out on the large L-shape deck facing the West and enjoy views of the Wanchese Harbor and Bodie Island Lighthouse. Home is move in ready. Even though it is a 2nd home for Sellers, home is being sold mostly furnished with a few exclusions so that new Buyers could use the home themselves or as a rental investment.